This is a really quick tip. 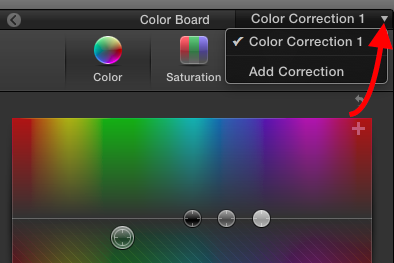 Before FCP X 10.2, there was a little + sign in the Inspector Color tab to add additional Corrections. With the changes to Color in 10.2, that little + is gone but… you don’t have to leave the inspector to add more corrections. Apply your first correction to a selected clip via CMD-6. Make your adjustments. 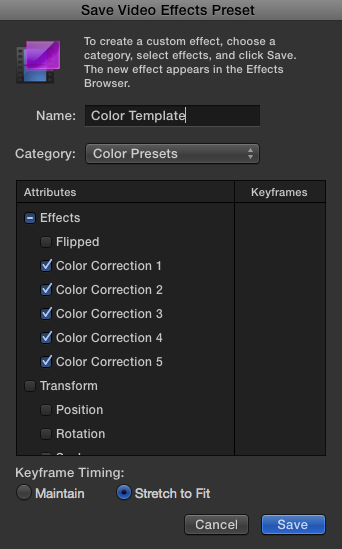 Then, in the Color Board, click the pop up menu in the upper right to add additional Color Effect instances. Easy. Ooooh… good one. Would never have thought to look there. Thanks!